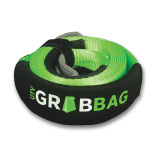 The "I'm Stuck" Bag, Recovery Kit, by UTV Grab is designed specifically for use with your UTV or Side x Side. 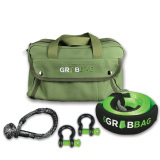 This kit has 4 essential products for recovery or towing.? (1) Canvas Tool Bag with (4) custom shackle pockets inside. Available in Black or Green. (1) "Softy" 1/4 inch soft shackle, rated at 11,000lbs, and won't scratch your UTV. 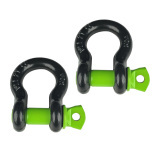 (2) 1/2" D-Ring Metal Shackles for hooking the strap to your tow anchor.